Re: Joyful Is Lover's Day! This is so Beautiful! I really enjoyed reading this so much ! I am so Happy to see you here sharing your Wonderful writings. Thank you Eva!!! 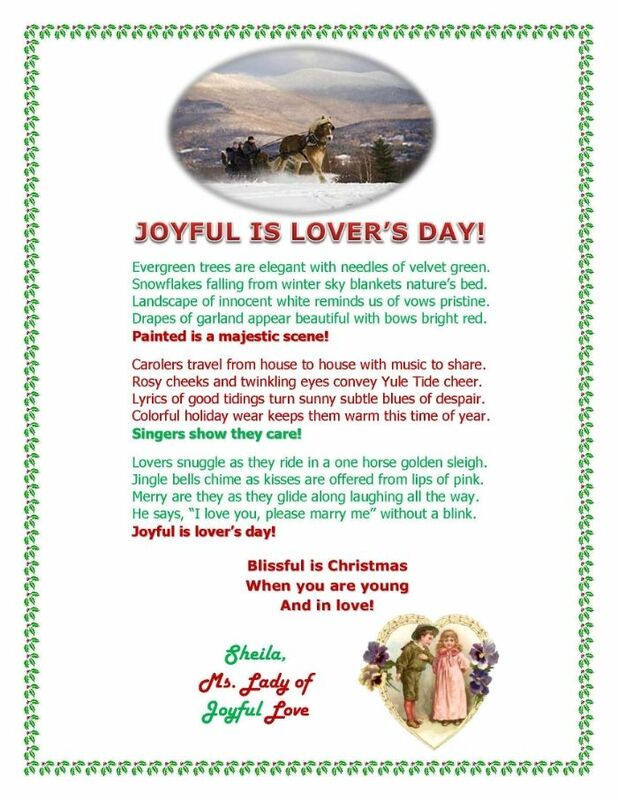 I am no longer active on this forum, but I wanted to share a few of my Christmas poems to honor the love and blessings of Christmas!! I received notice of the new videos and watched "The Carol of The Bells' and it is so beautiful that I wanted to come back here for a visit! May our Lord bring you the greatest of joy this holiday season! !